Prevent hair loss in winter through Ayurveda - Hair loss is directly related to constipation and stomach problems increases in winter. So you should first try of the stomach, the head automatically obtain its solution. Before bed, take a teaspoon of Triphala powder with hot water. Triphala drops of pure ghee can be mixed to counteract the drying effect. 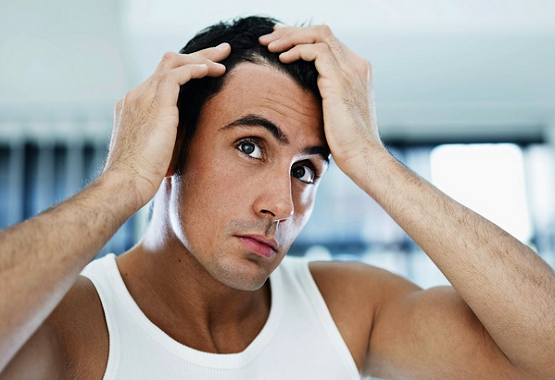 To prevent hair loss in winter, make LBA paste in lemon juice and apply on the hair. It will cure dandruff and hair loss. Take spoonful of fenugreek leaves and add add Ber 10-15. Make your paste and apply on the hair. Wash the hair after an hour. You will receive a healthy and strong hair. Take 2-5 Triphala powder and add 125 g bhasma mg iron. Take the morning and evening prevents hair loss. Wash your hair with pure, fresh water and after drying, apply a little coconut oil in it. It will keep the roots of the hair strong. "The application of two drops of neem oil in both nostrils regularly drink cow's milk and keeps the hair healthy and prevents premature aging Apply the paste of neem leaves and BER. It will give you healthy hair . " - Acharya Balkrishna. Wash your hair after 12 hours. Regular use will prevent new hair and baldness. Drink water boiled in neem leaves, and allow it to be cool. Washing the face with this water will give a strong and healthy drinking juice fresh fig leaves Bengal and add equal amount of collected hair oil and boil together. The application of this preparation will cure hair problems. The consumption of 125 grams of Loha Bhasma mix 2-5 grams of Triphala twice daily reduces hair loss. A spoon full of coffee powder plant Brahmi twice daily in the morning and in the evening a few weeks will be to control hair loss and removes the general weakness in the body. Mix powdered henna leaves with cream cheese, lemon juice and tea water and apply on hair for 2-3 hours, then wash the hair. It makes the hair soft, thick, black and long. Henna powder mixed with neem leaves powder in equal quantities also gives food for hair natural color and give the hair. Mix "amla" dry 30 grams, bahera (belleric myrobalan) 10 grams, mango pulp (guthali), 50 grams of iron powder, 10 grams of water and keep overnight and apply the paste on both hair time in a week and rinse off after a while. In the short space of a few weeks, the gray hair at the tender age would turn black in a few days. Wash your hair with coconut concoction "amla" soap (from Reetha) and shikakai (Acacia concinna) soften the hairs and help them grow longer and thicker. Brahmi Amla hair oil is good for hair health during summers and winters in mustard oil can be used. According to experts of Ayurveda, due to an imbalance in the blood, Pitta and Kapha, weaken our scalp causing hair loss and this problem also hinders the growth of new hair.